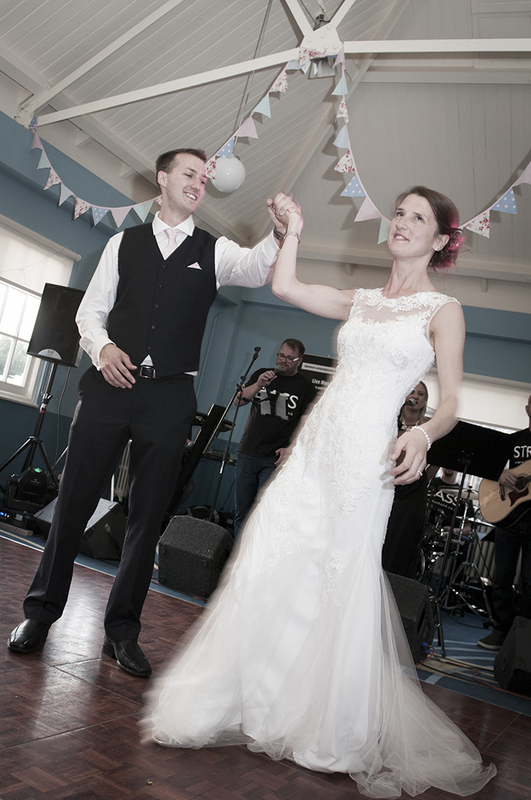 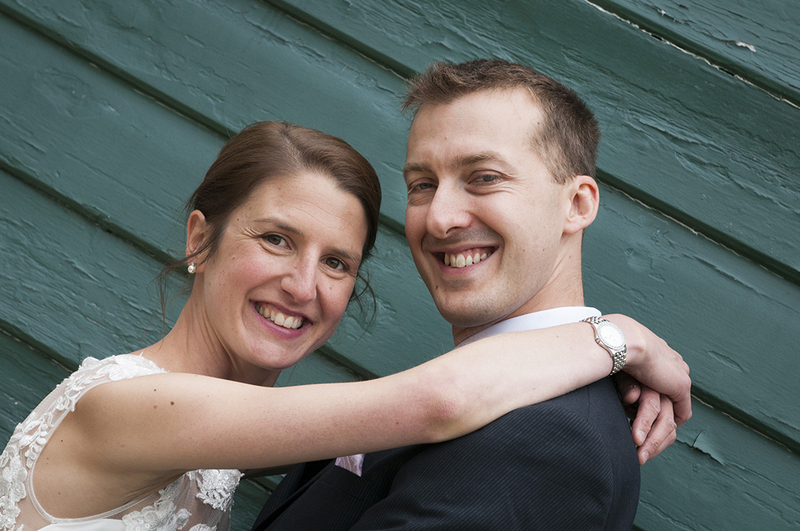 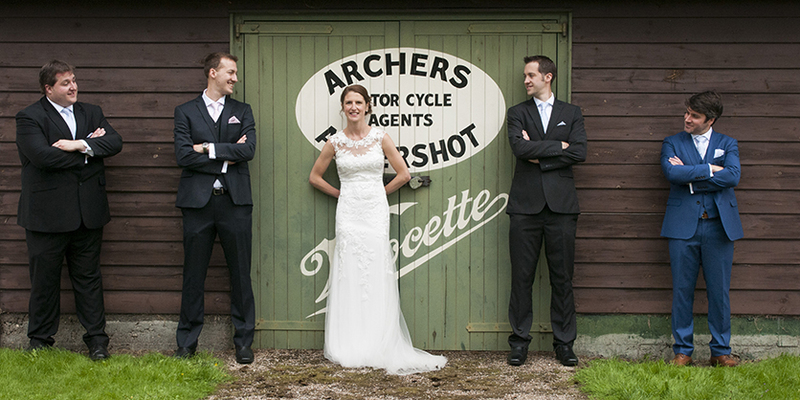 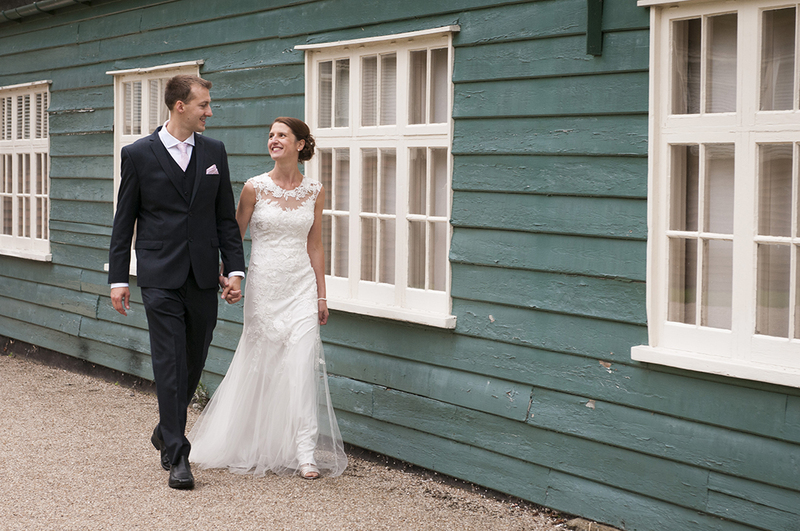 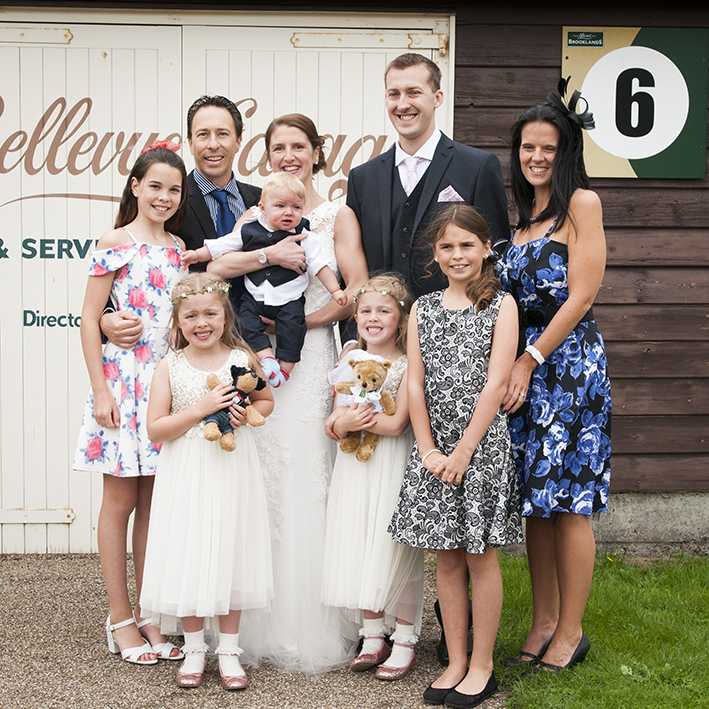 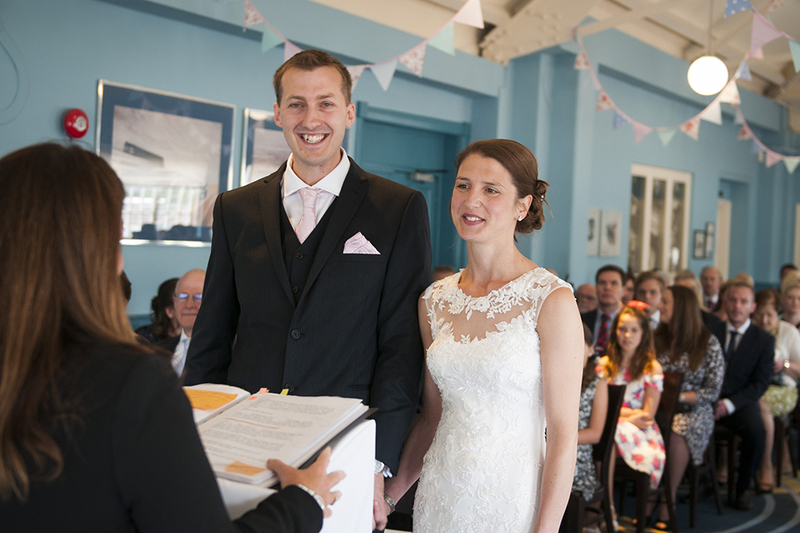 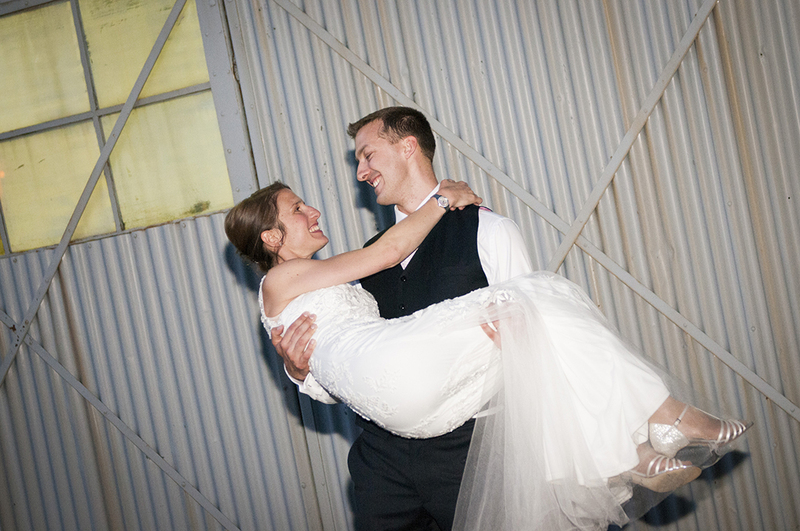 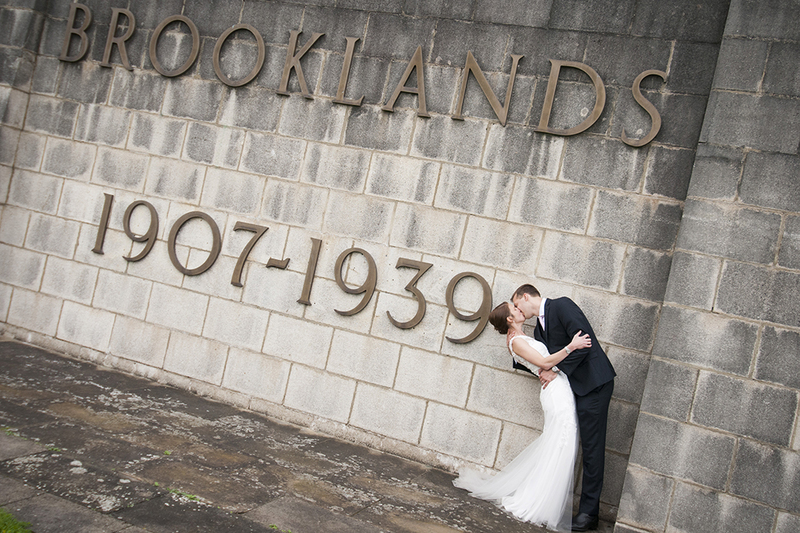 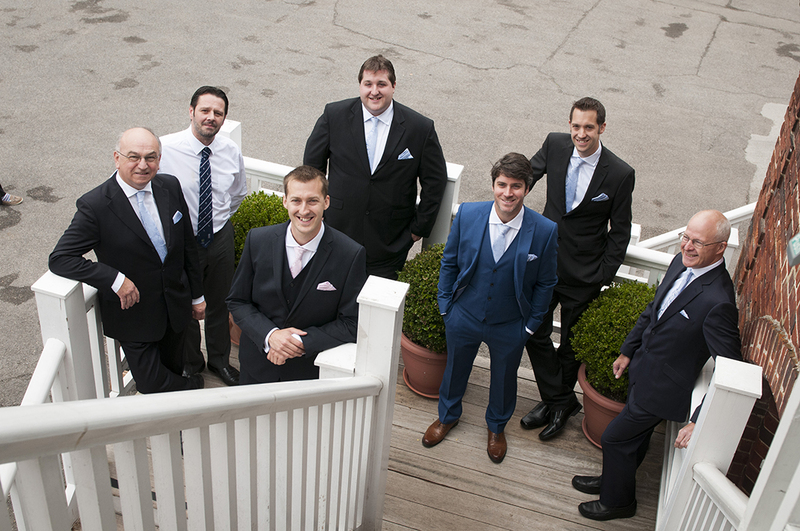 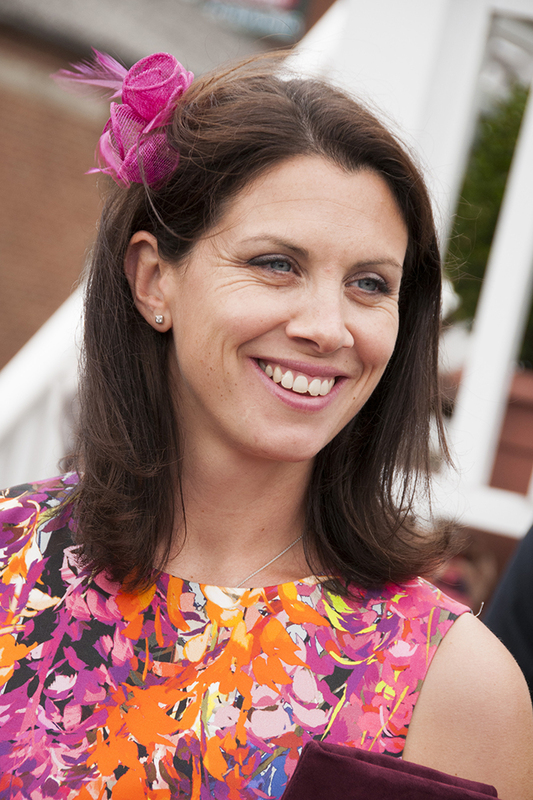 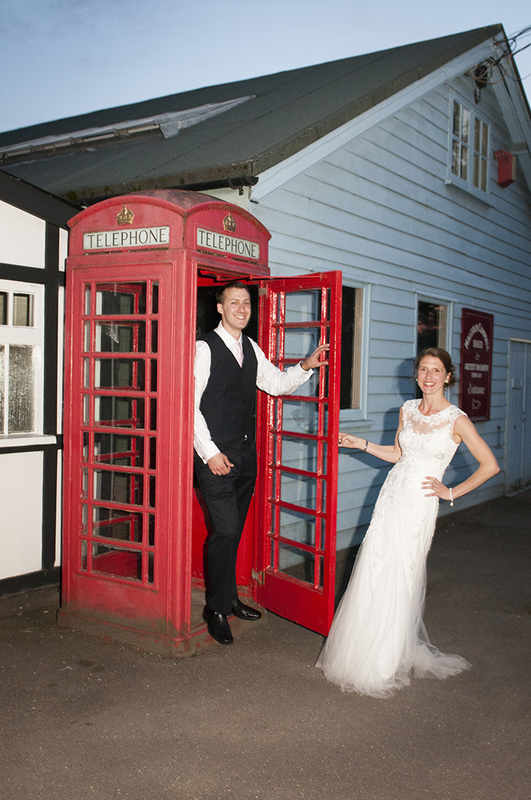 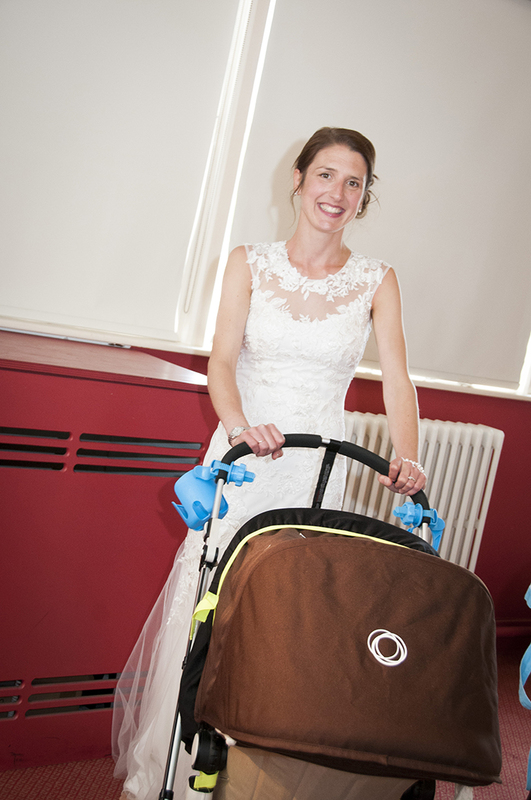 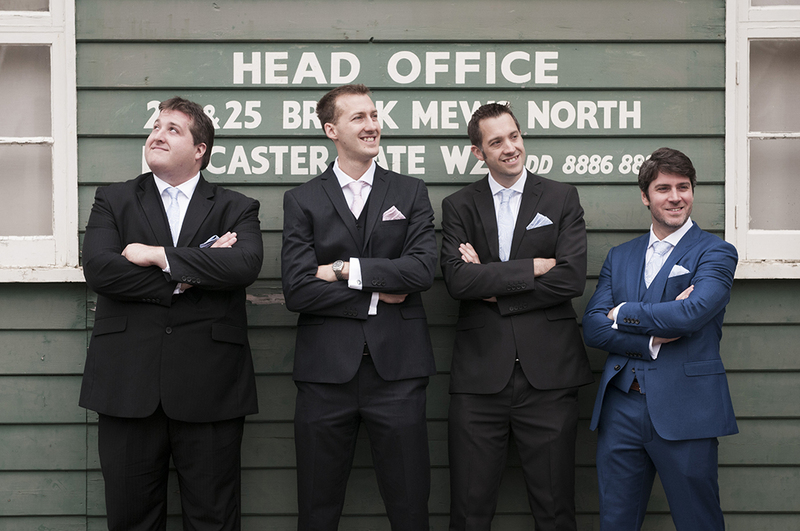 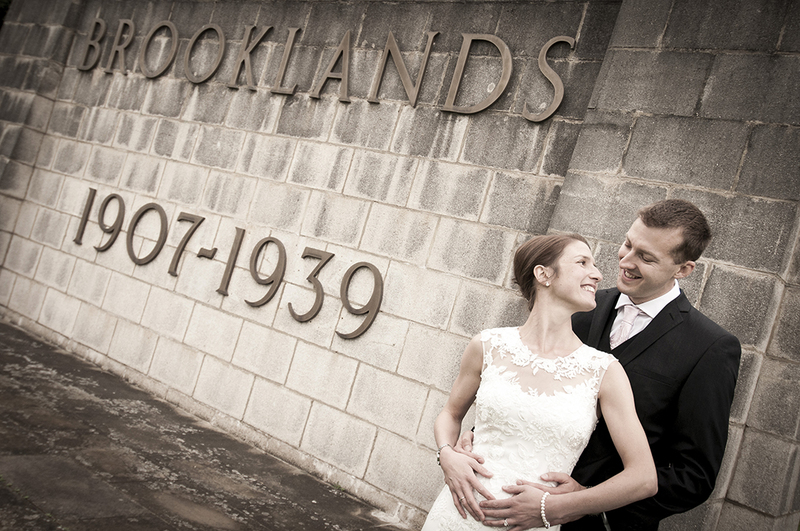 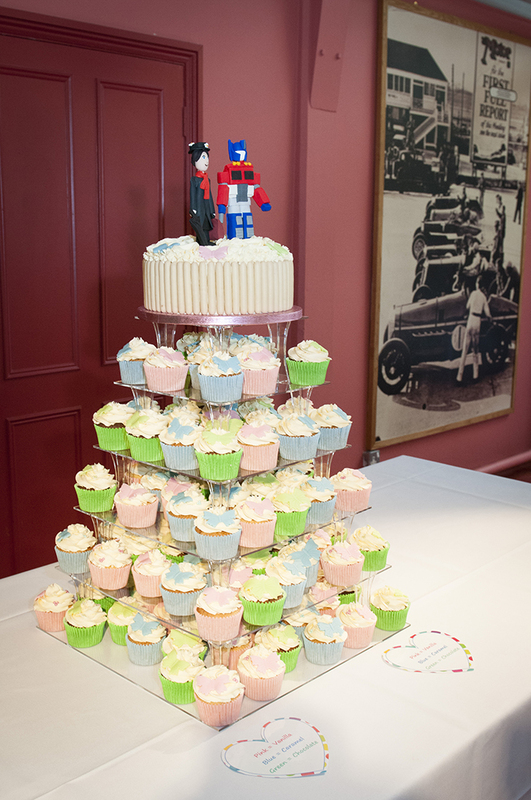 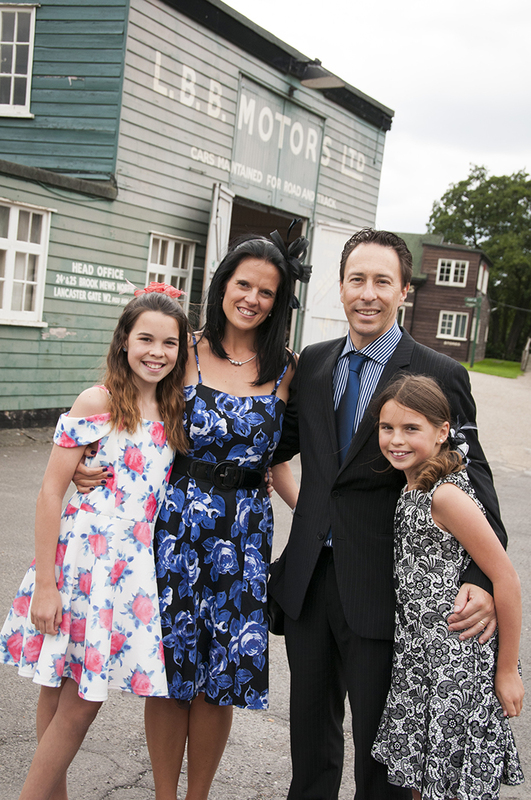 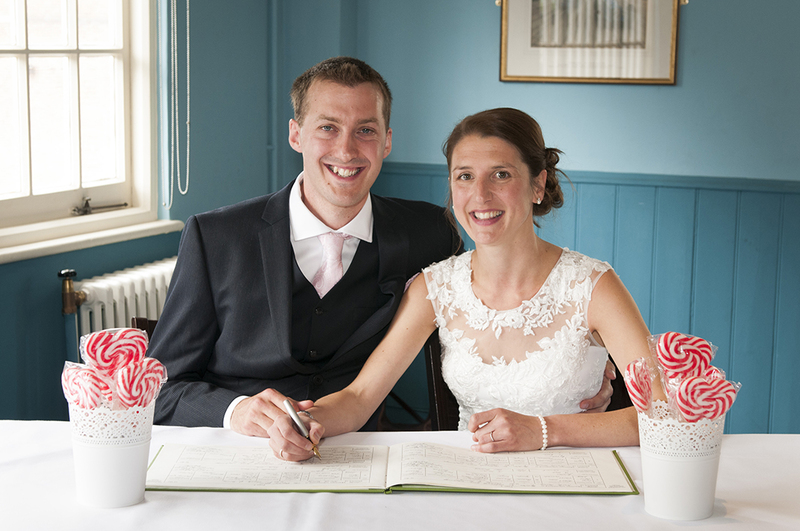 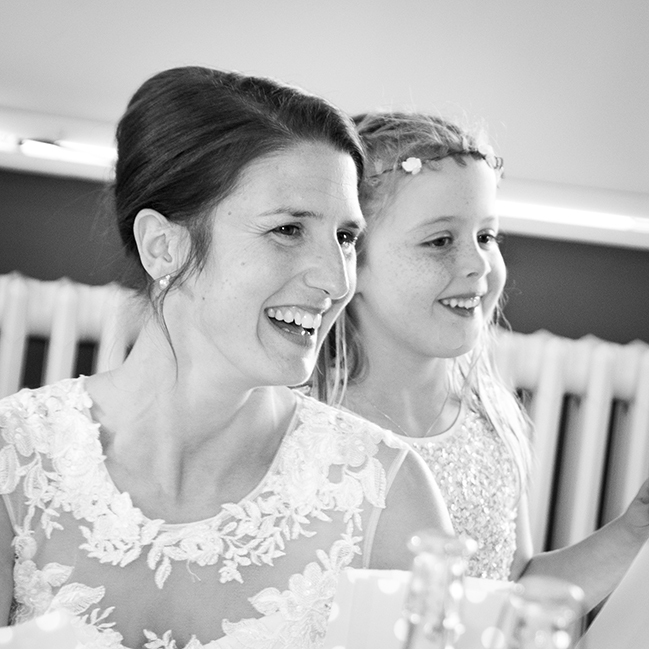 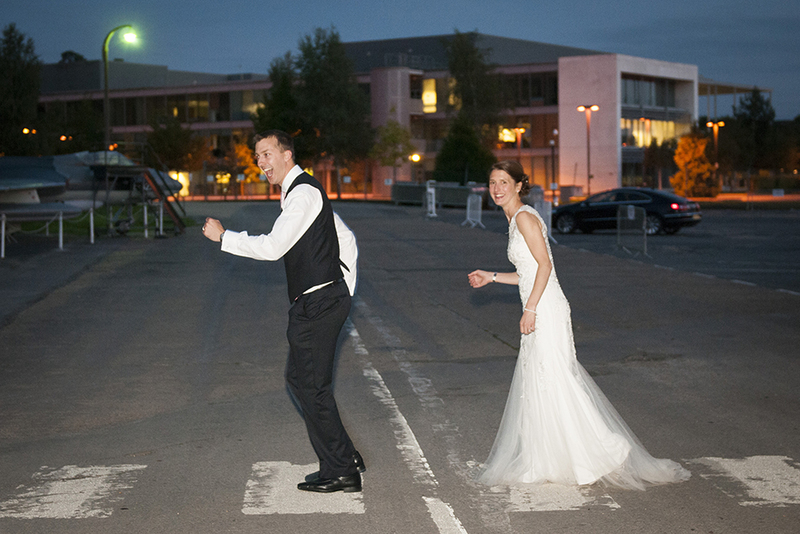 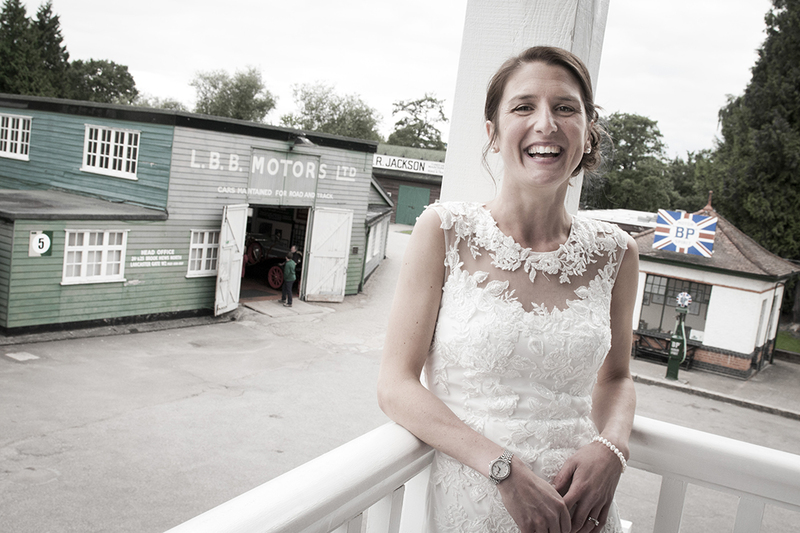 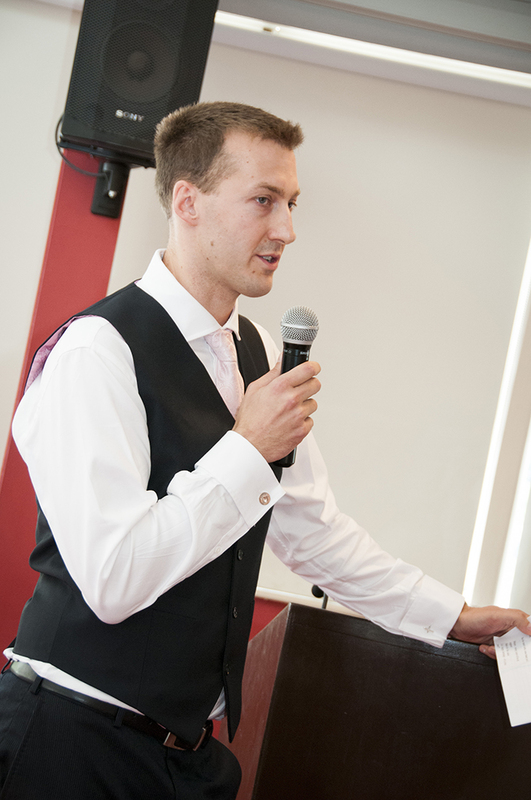 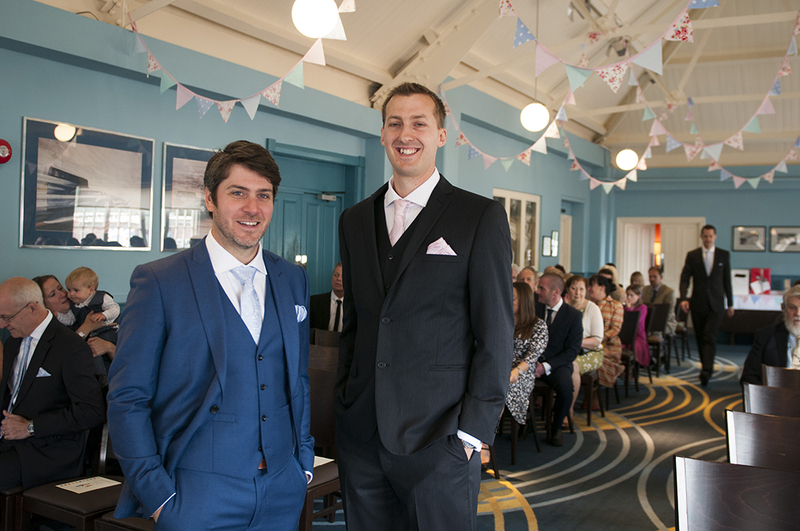 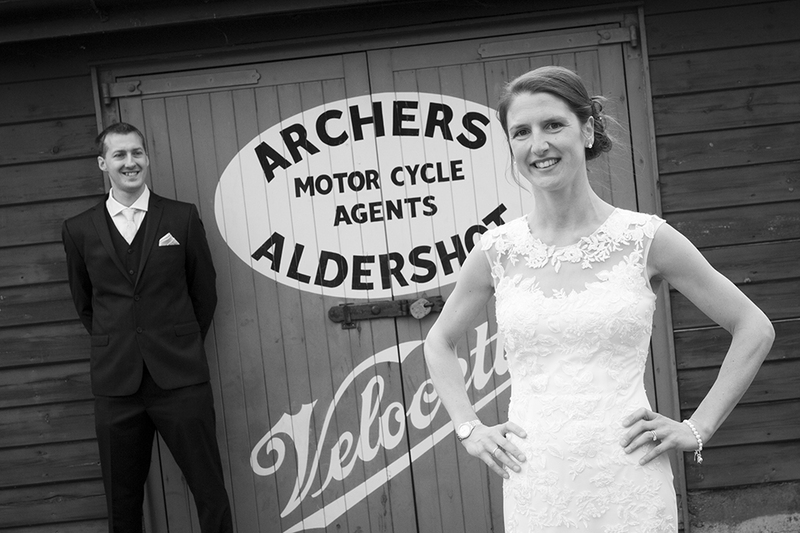 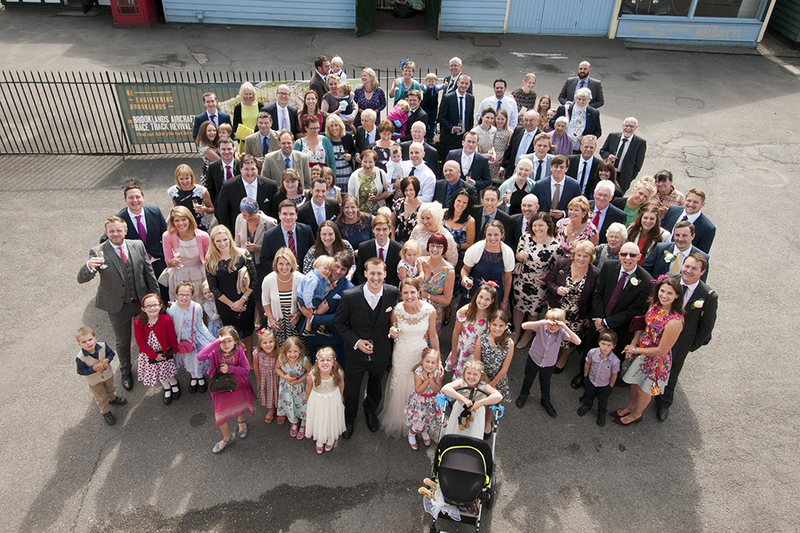 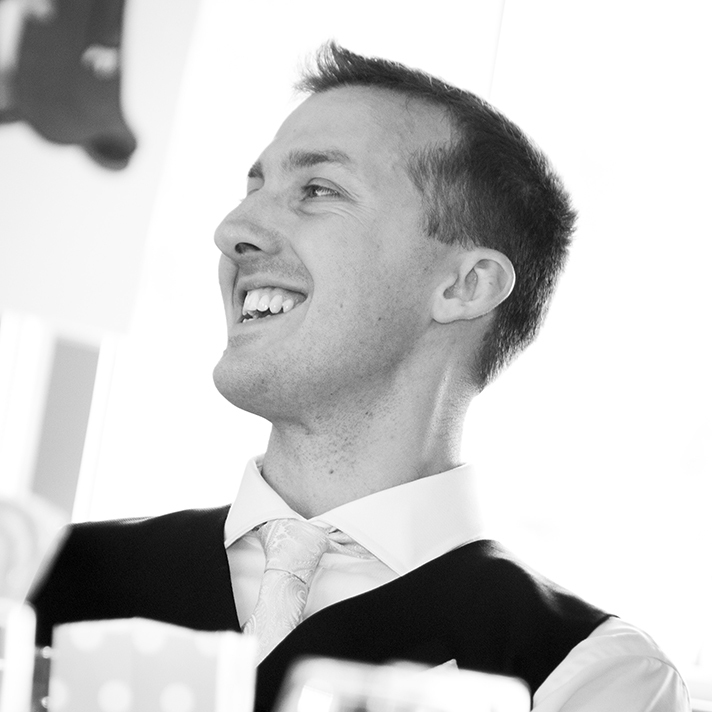 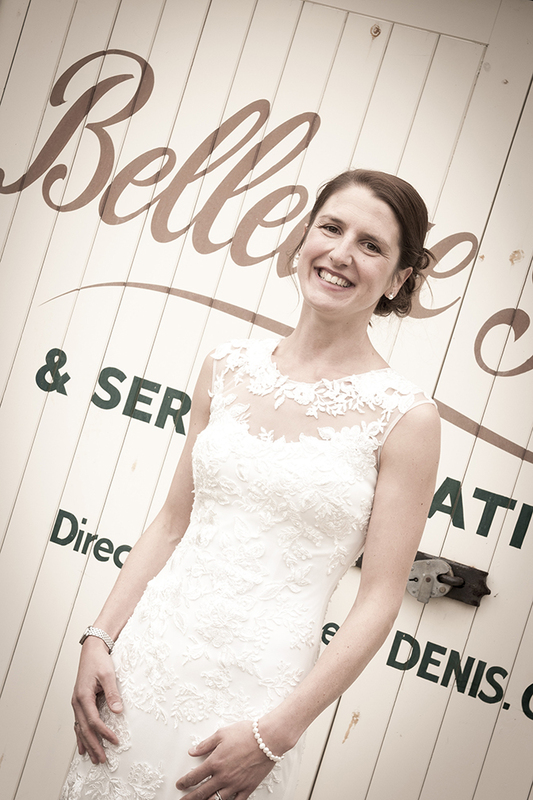 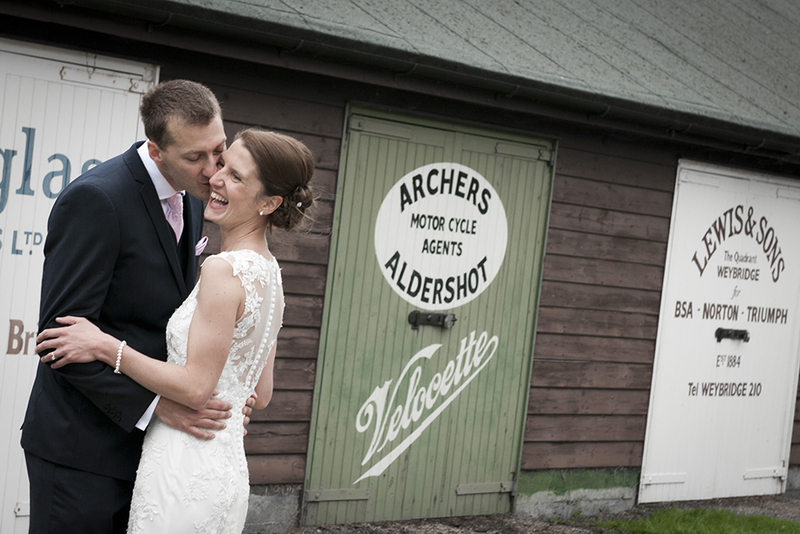 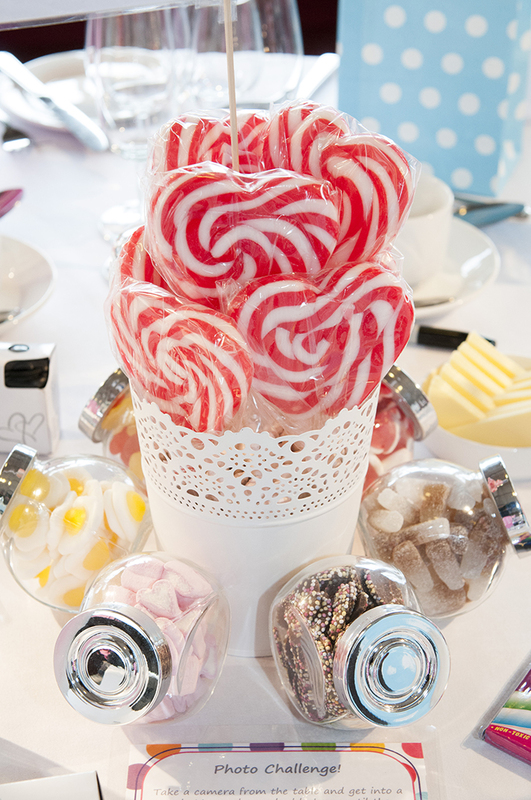 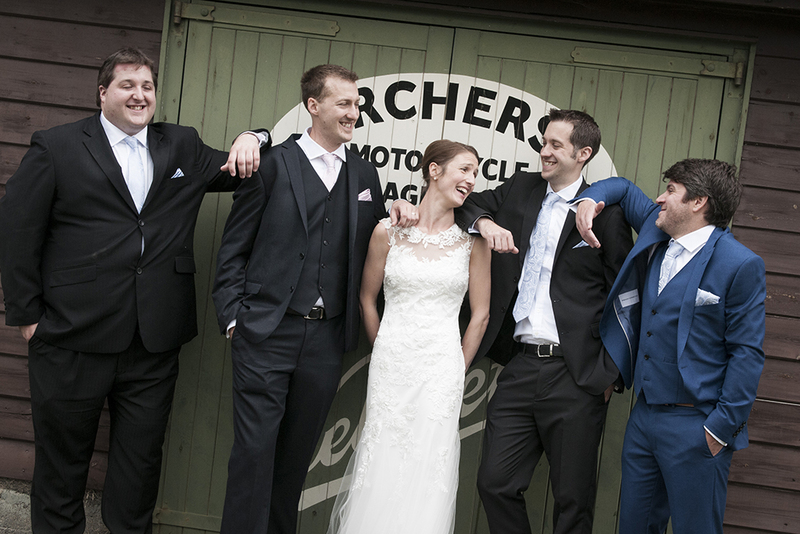 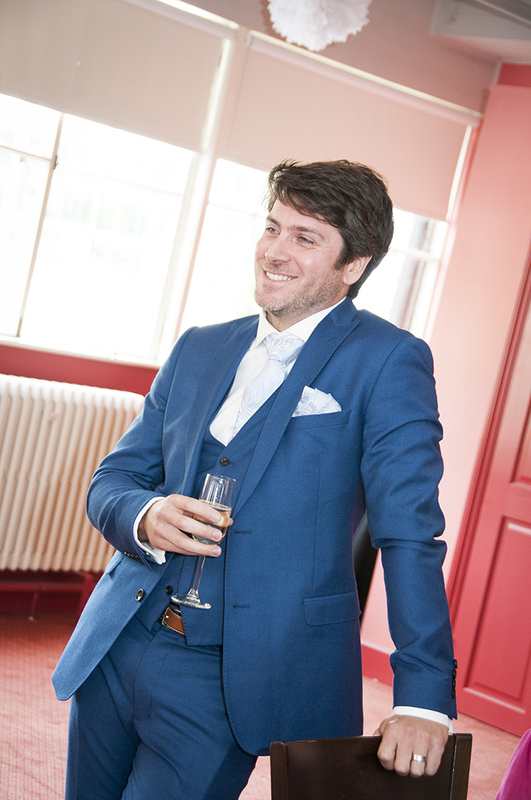 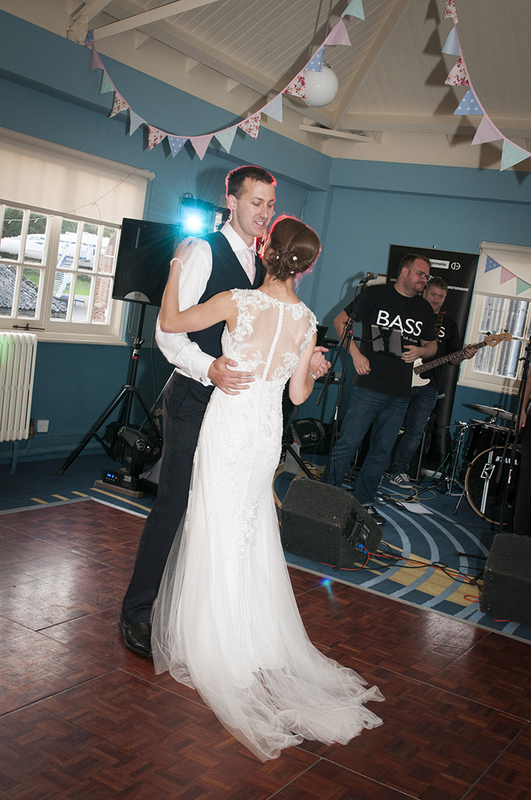 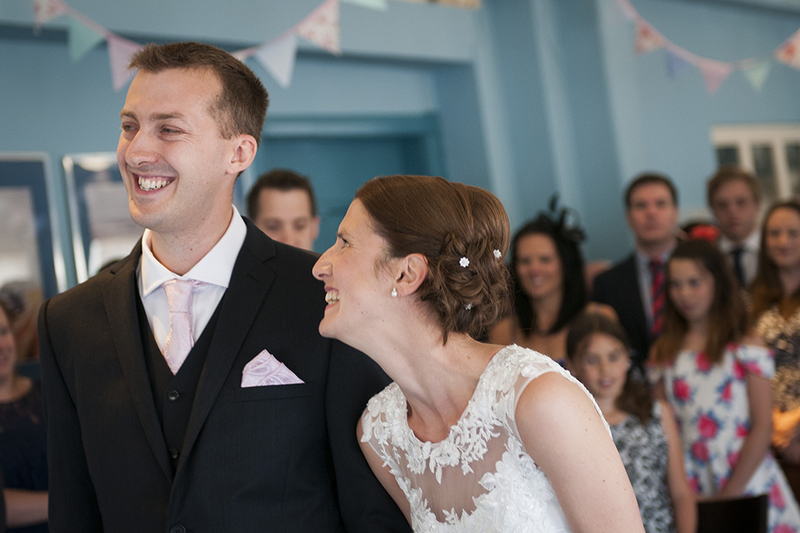 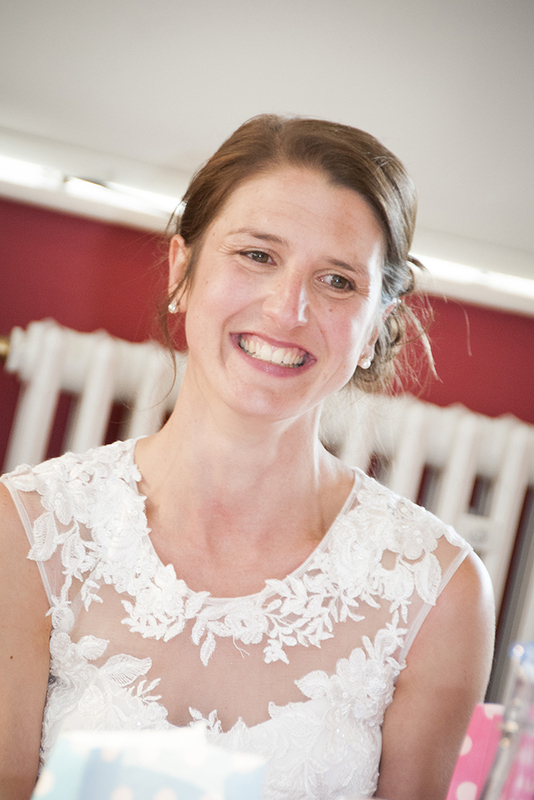 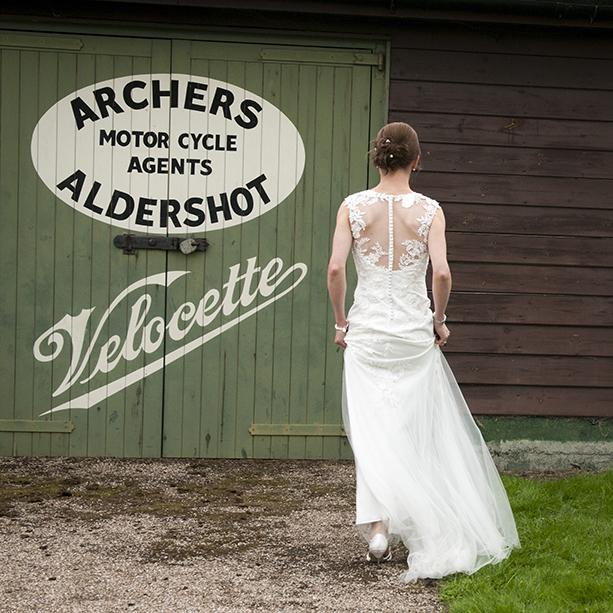 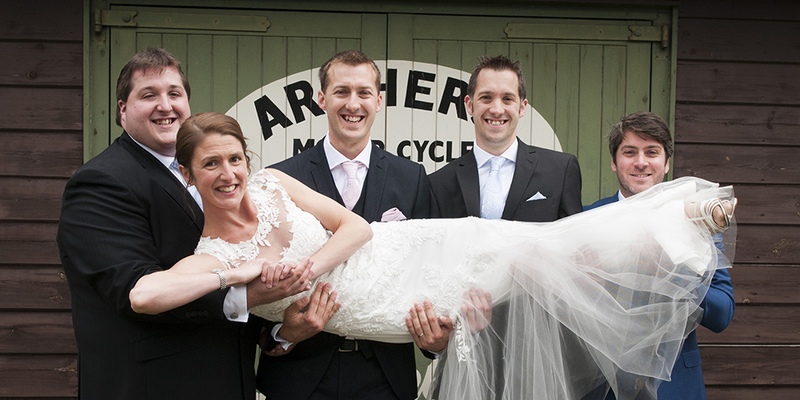 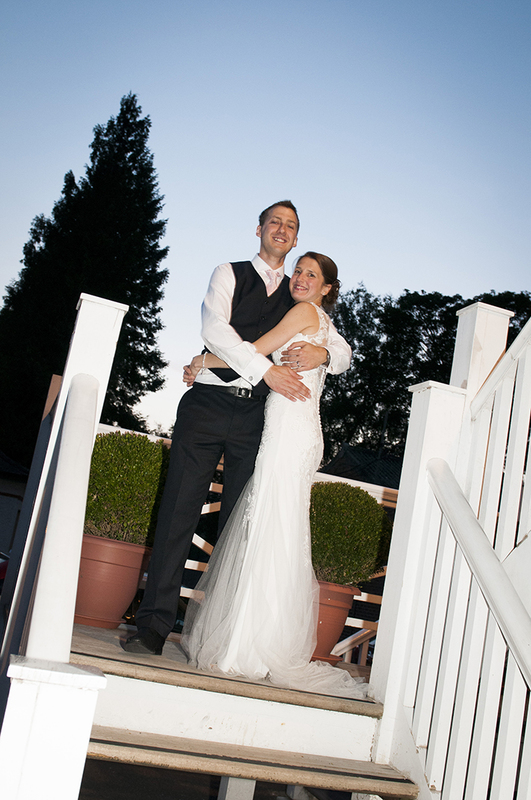 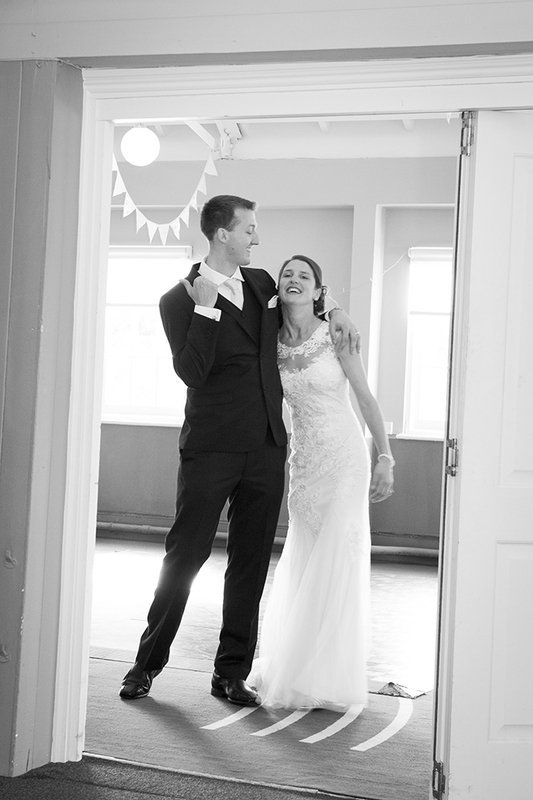 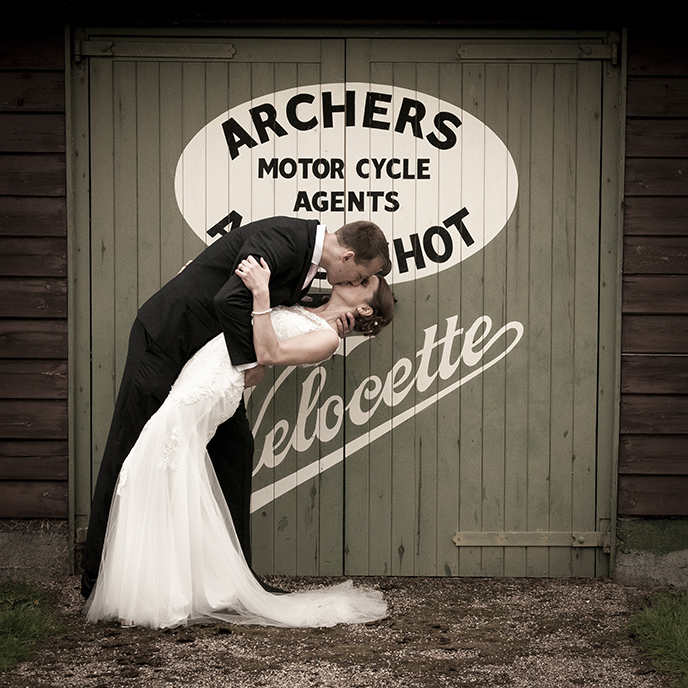 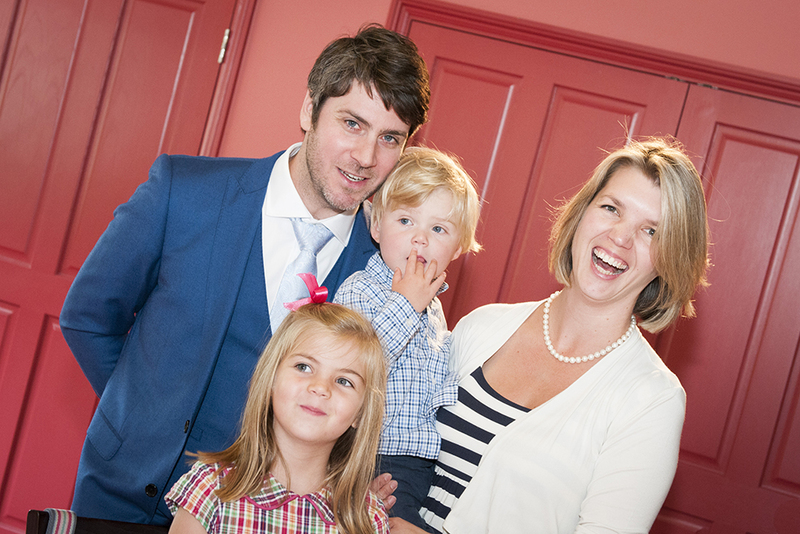 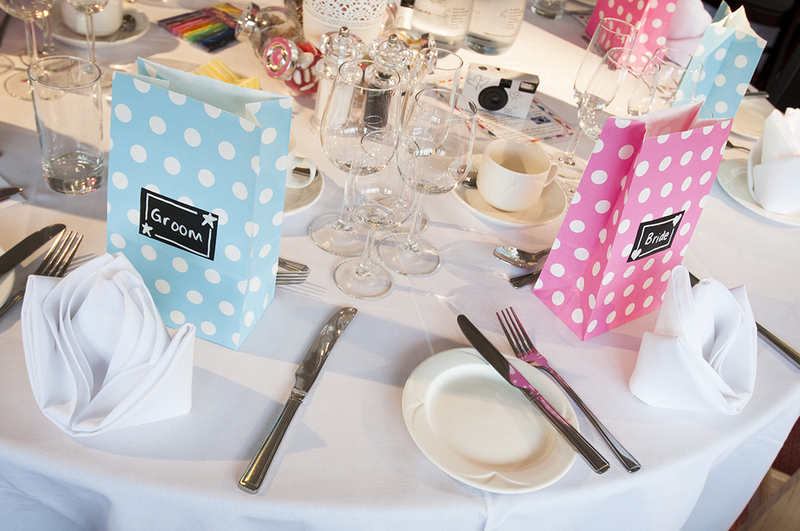 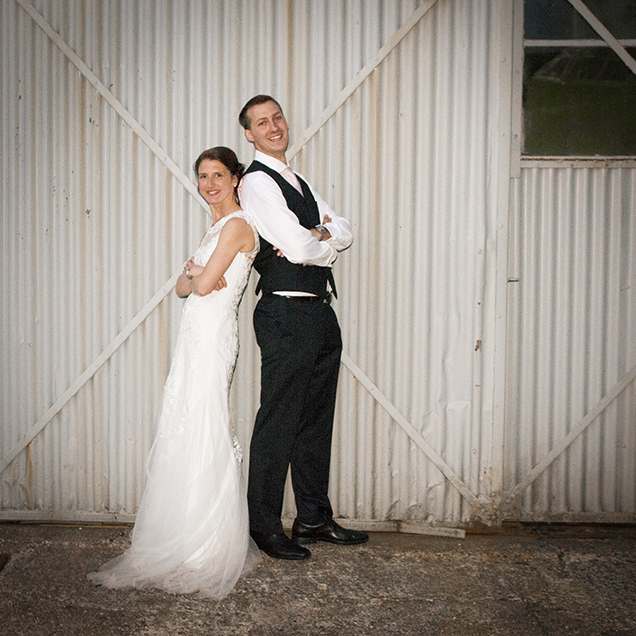 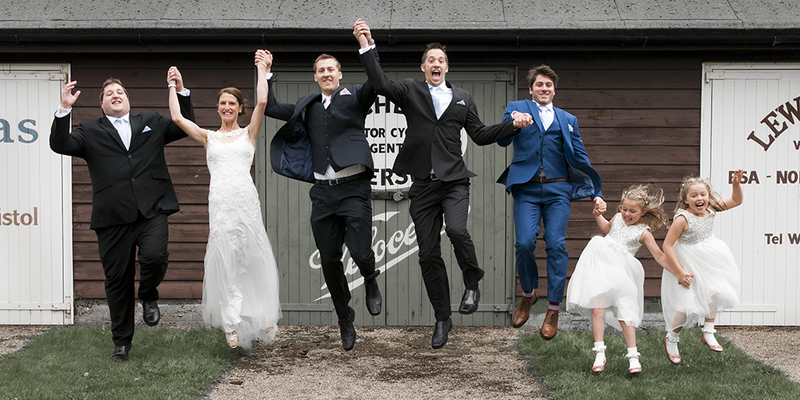 I recently had the pleasure of photographing the wedding of Naomi and James at Brooklands. 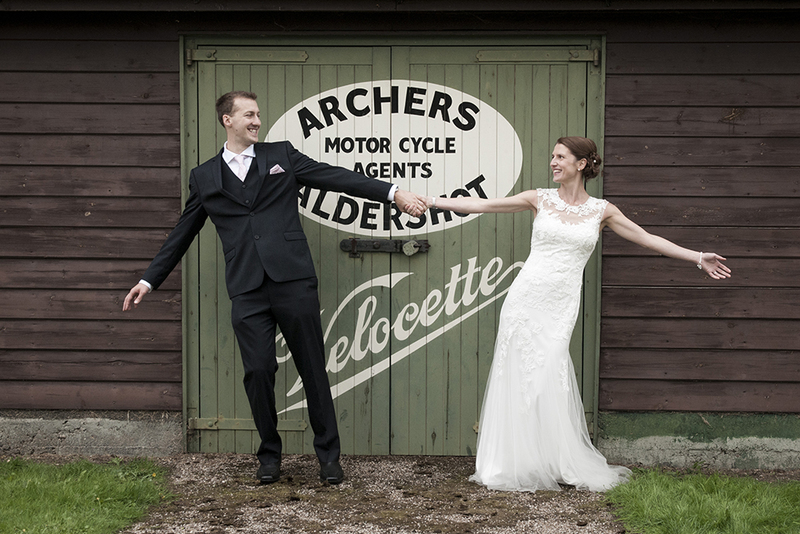 It was a vintage-style wedding and the venue was perfect with lots of vintage backdrops. 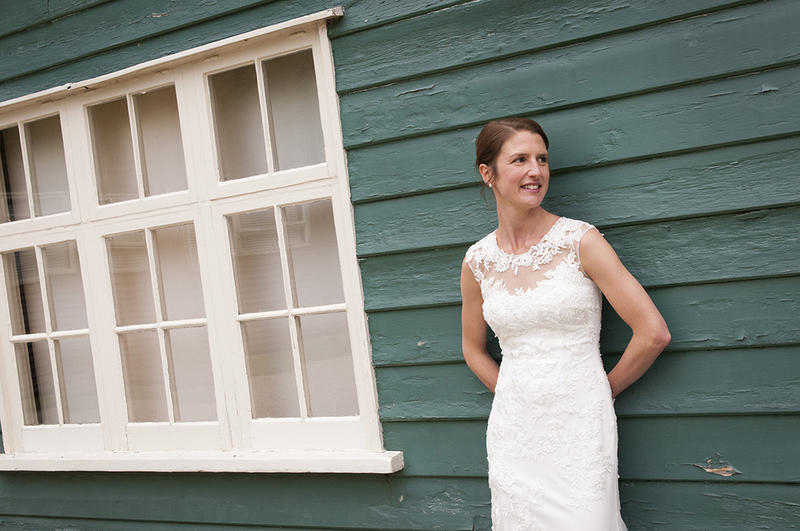 Naomi looked beautiful in her wedding dress, complete with lace accents. 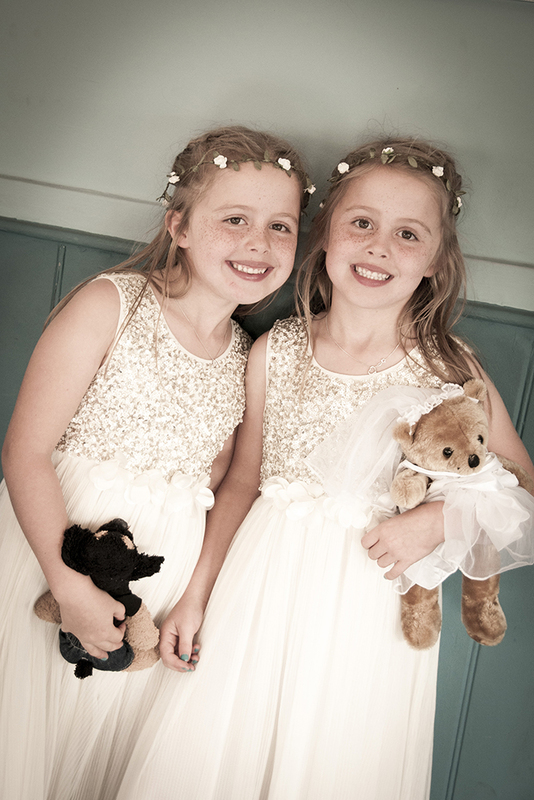 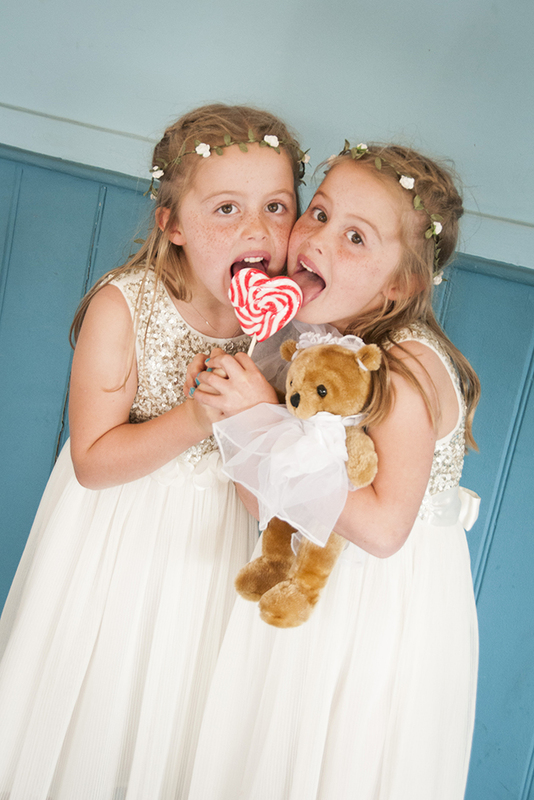 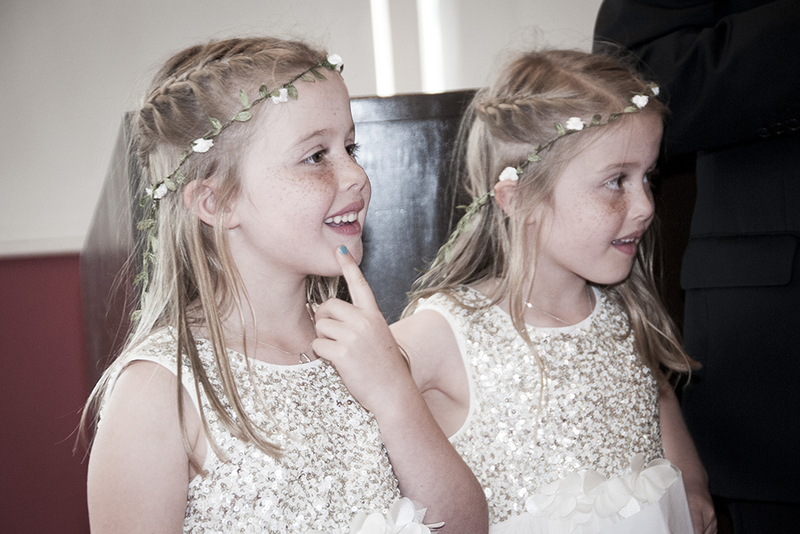 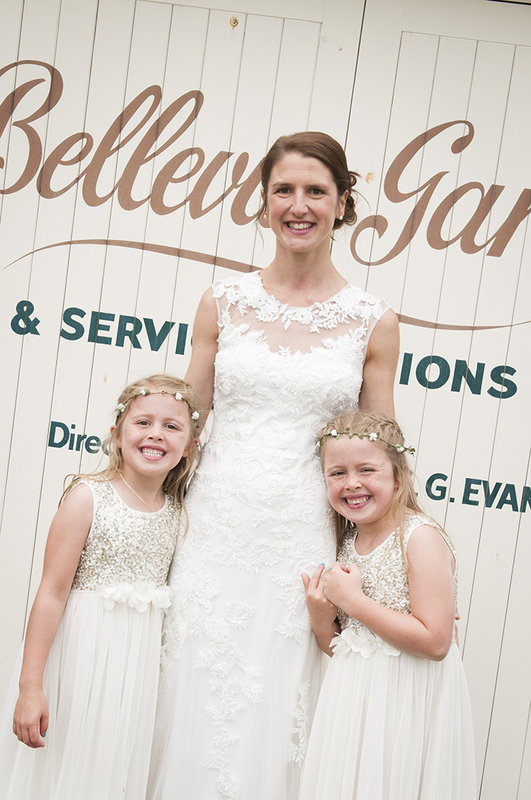 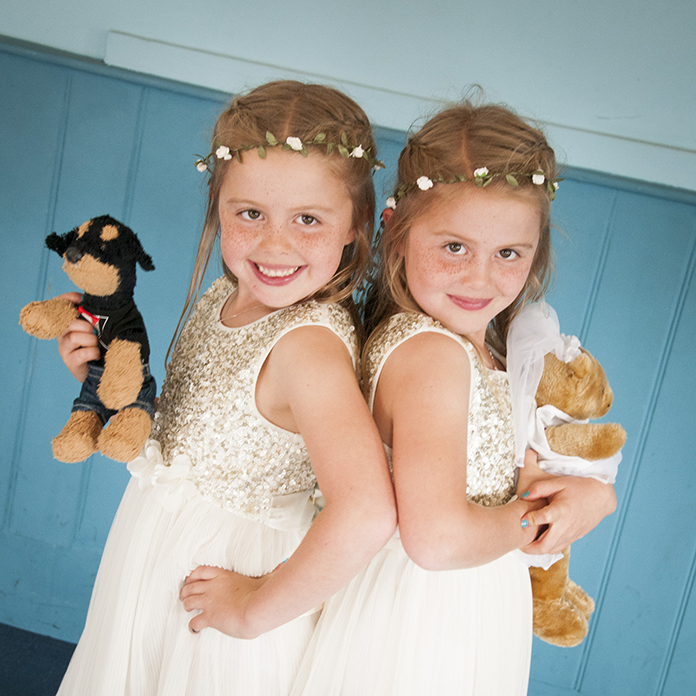 Her flower girls were her twins Isla and Eloise, who could only be told apart by the stuffed dog and stuffed bear they were carrying. 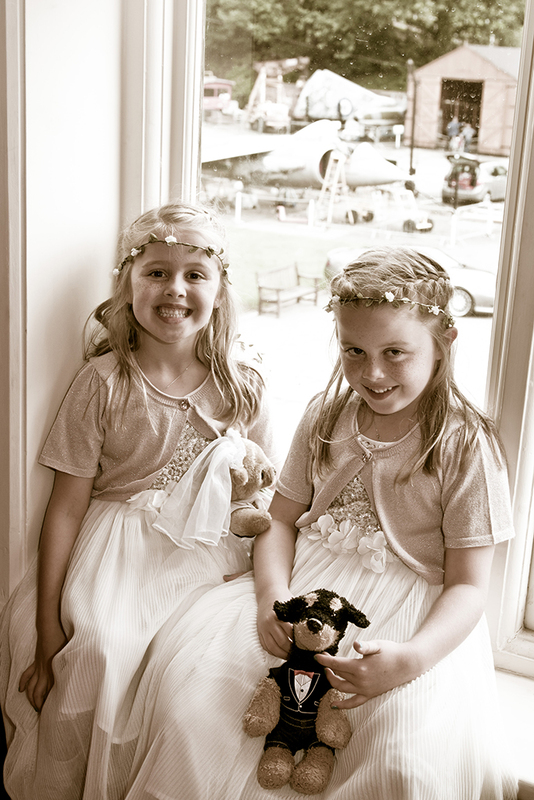 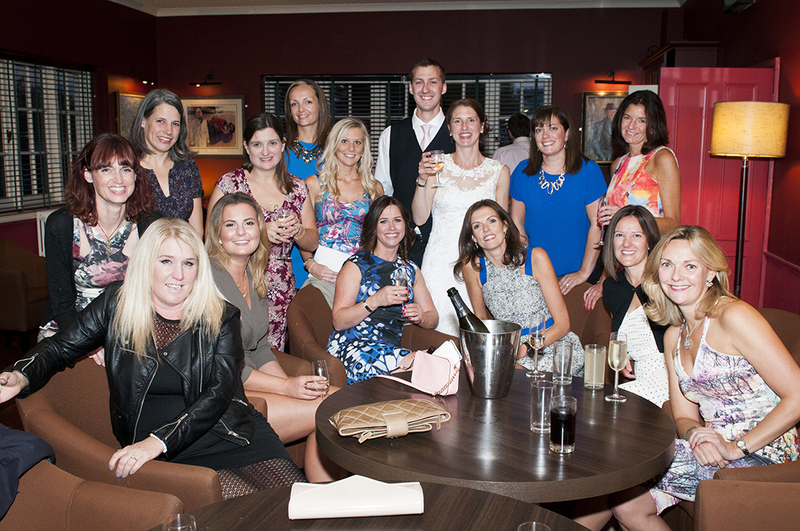 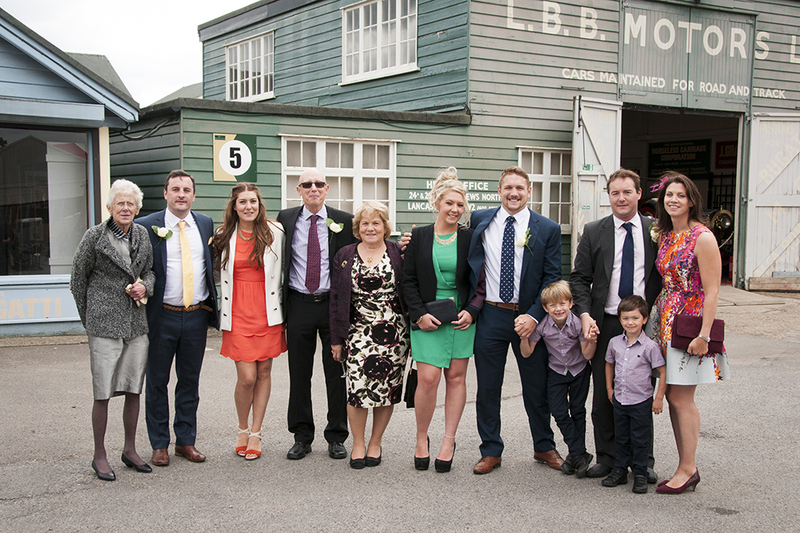 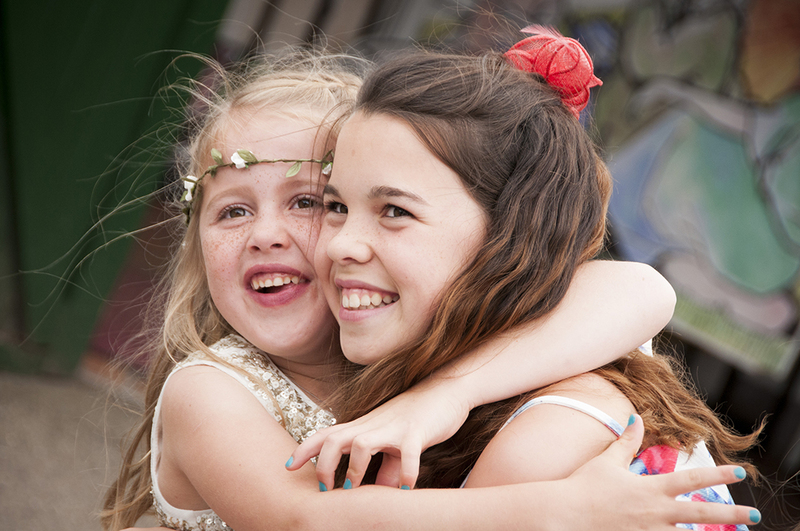 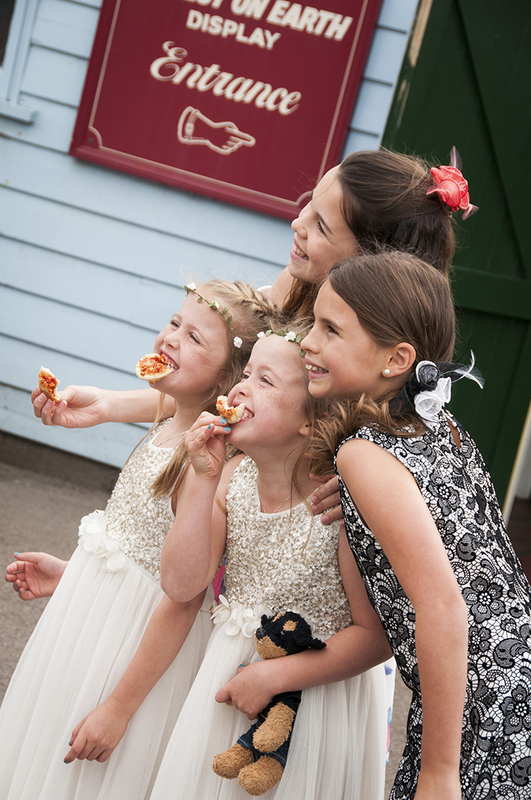 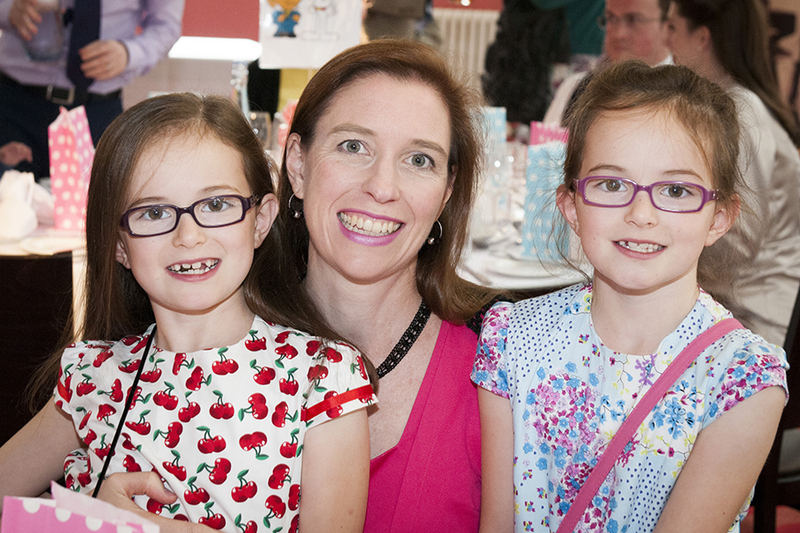 They were on their best behaviour – apart from a couple of photo bombs! 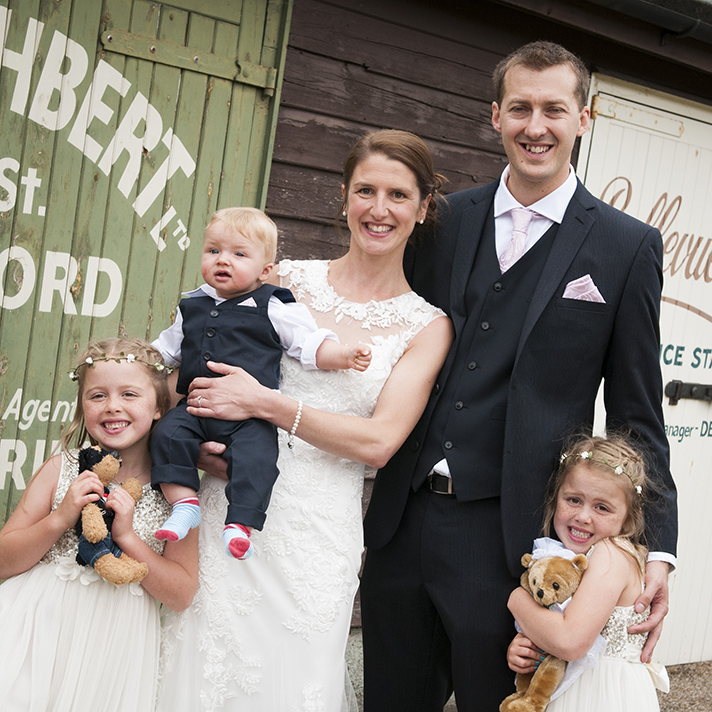 Baby Elliot looked dapper in his suit that matched his dad’s down to the pink pocket square. 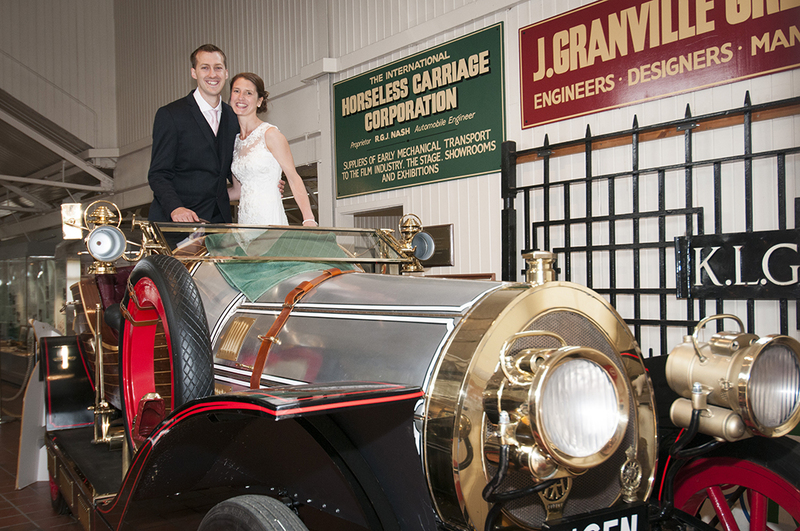 Naomi and James even managed a photo in Chitty Chitty Bang Bang, as the owner was present to give his approval. 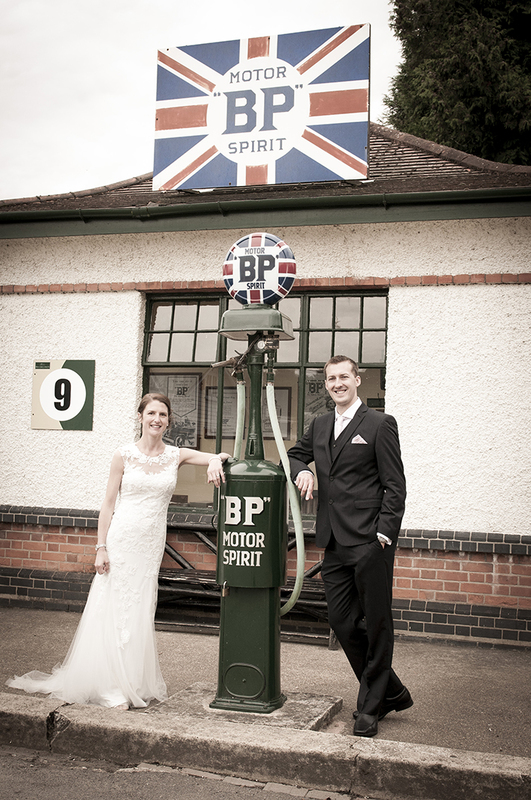 Not every couple can boast that their first “flight” as a married couple took place in such an iconic car! 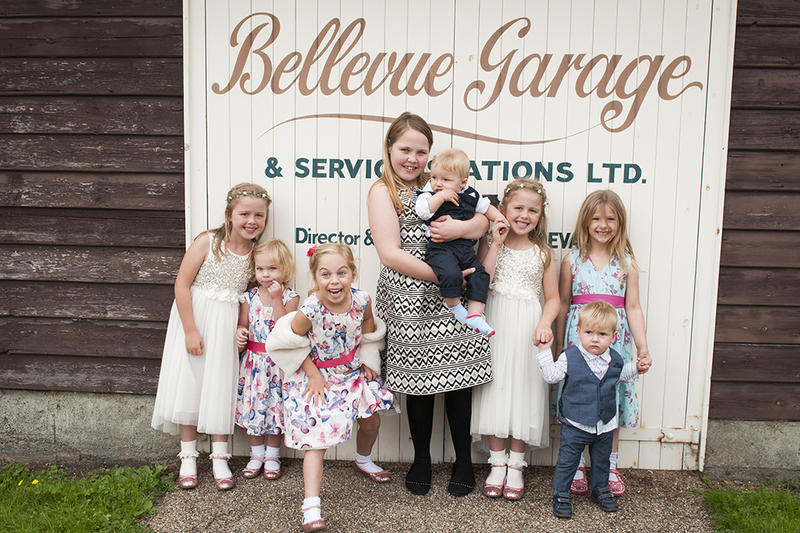 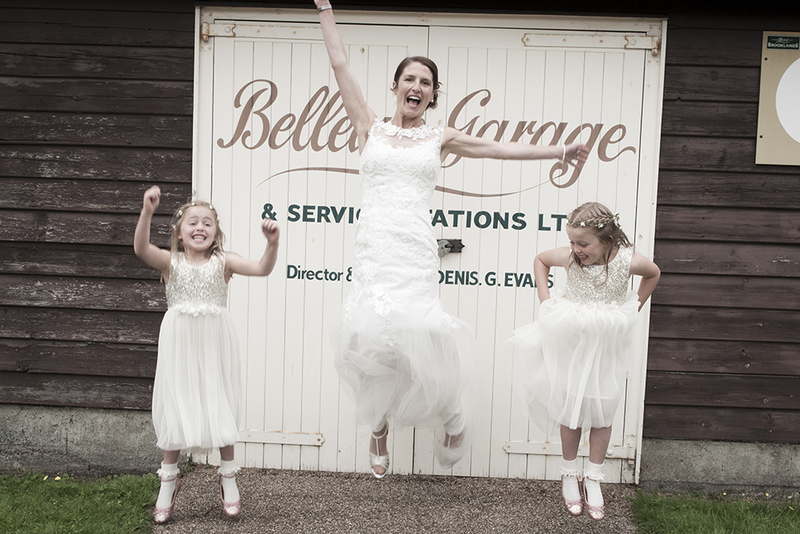 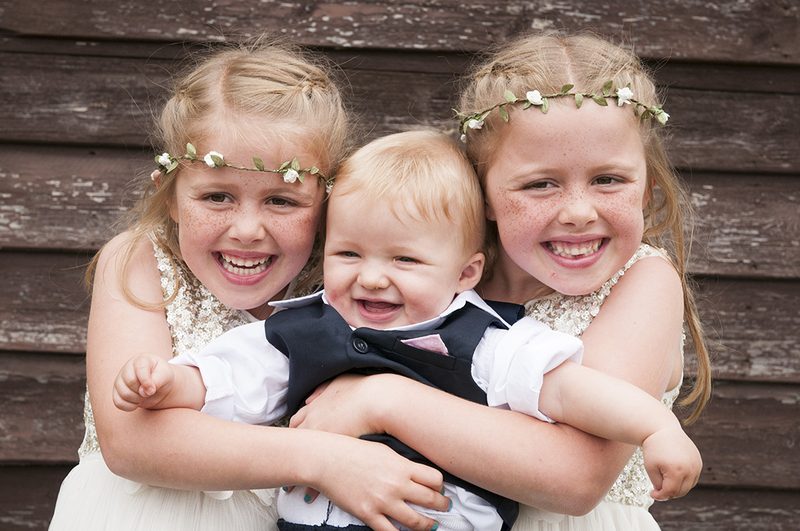 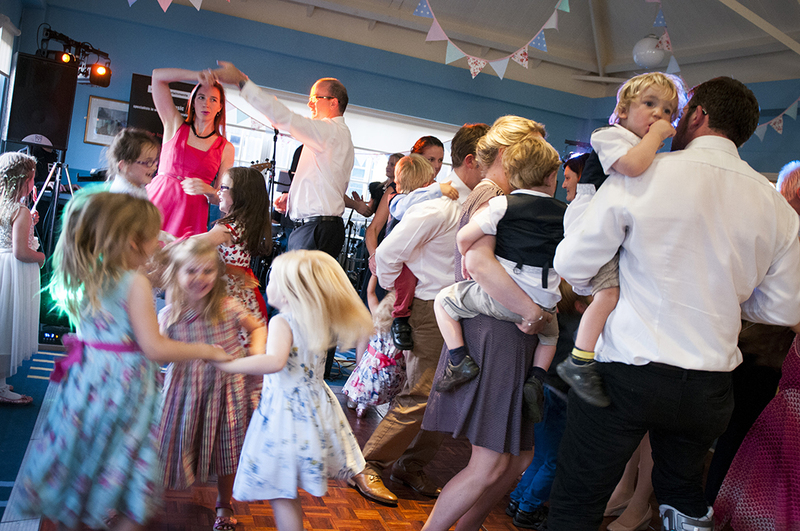 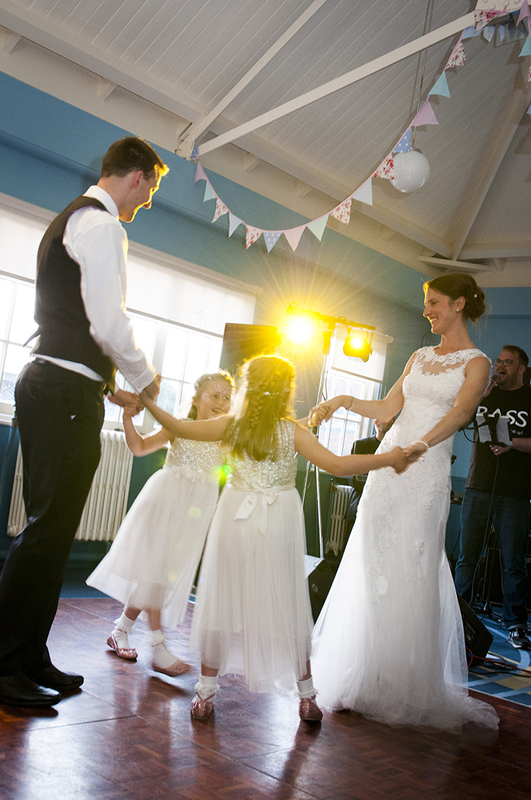 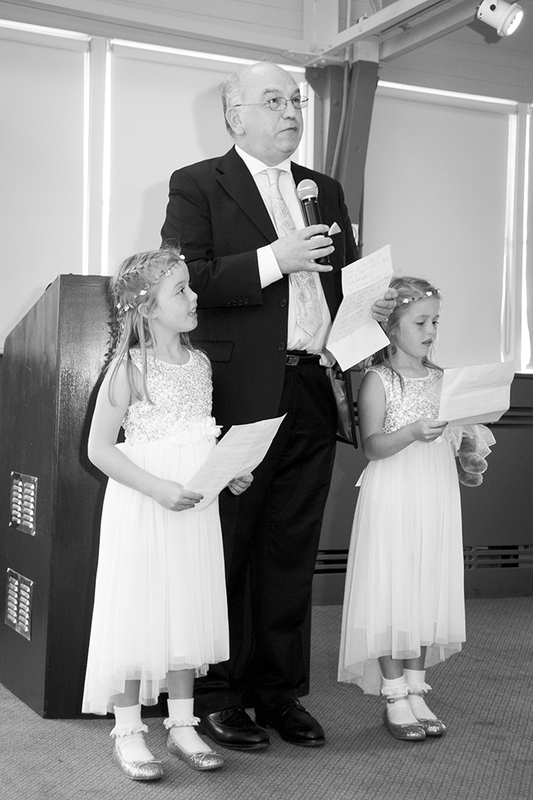 It was a lovely family wedding with the girls involved every step of the way, from designing the invites to dancing during the first dance!